Not sure how to rate this one – first experience was Best Pizza in Thailand, second experience was – Not sure I’ll come back! My first experience was in Bangkok. 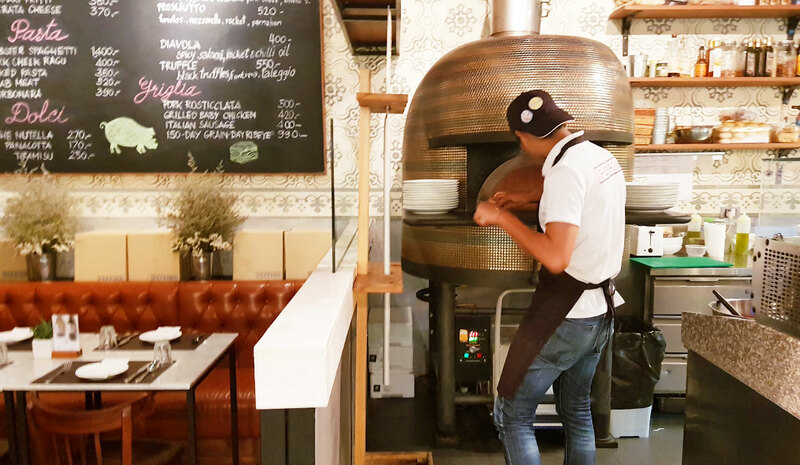 I was searching for the best true Napoletana pizza in Bangkok, and these guys came up on most reviews – so we headed there for a Sunday lunch. The pizza was amazing, and just like I would find at true Napoletana restaurant in Napoli (however without the price tag). 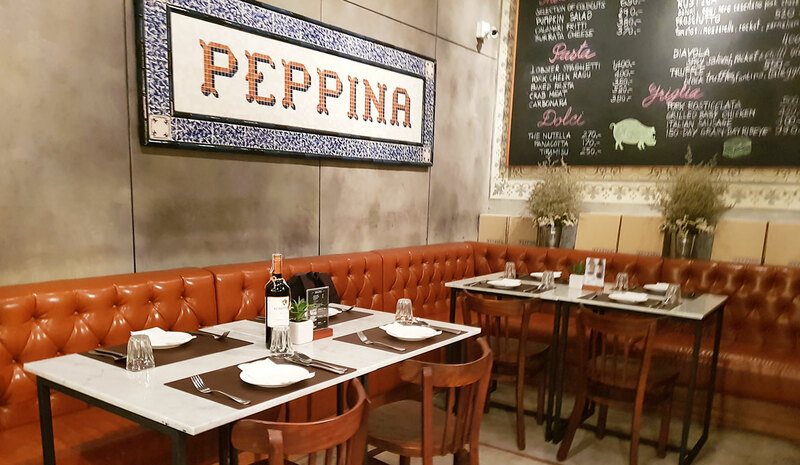 This place wasn’t cheap, but for the experience and quality of food, it was worth it (beats paying $1,000.00 US more for a plane to Napoli). 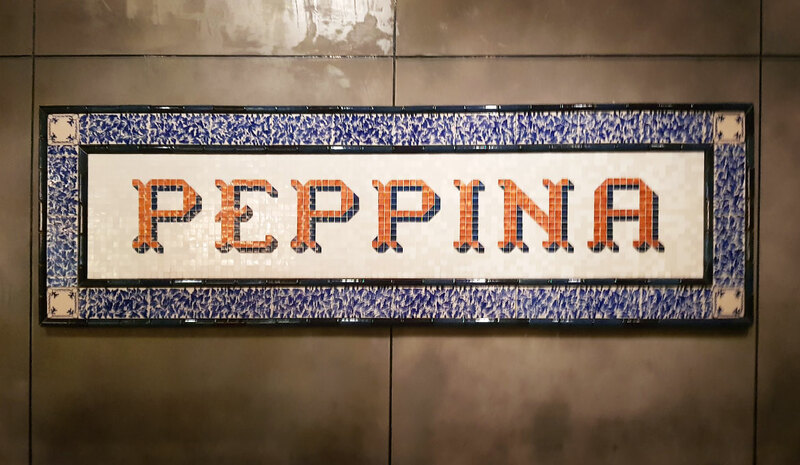 Peppina recently opened a restaurant inside the Bluport shopping mall – I was wrapped when I saw this – my favourite pizza in Thailand now on my doorstep! It’s taken me a while, but I finally decided to go and get what I thought was “my favourite pizza”. 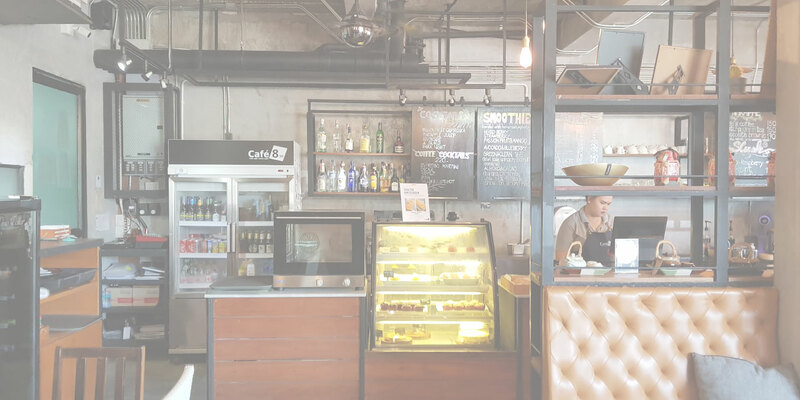 I never like eating in a shopping mall, especially quality food – it should come with great ambiance and perhaps a view, but there seems to be a lot of quality restaurants opening here in Bluport. Obviously this is the place where they know people with money are going to go, but in my culture, people wanting a quality restaurant don’t go to a shopping mall – in fact that’s the last place you would go. So already, I wasn’t happy about the vibe (before evening entering) because of this. 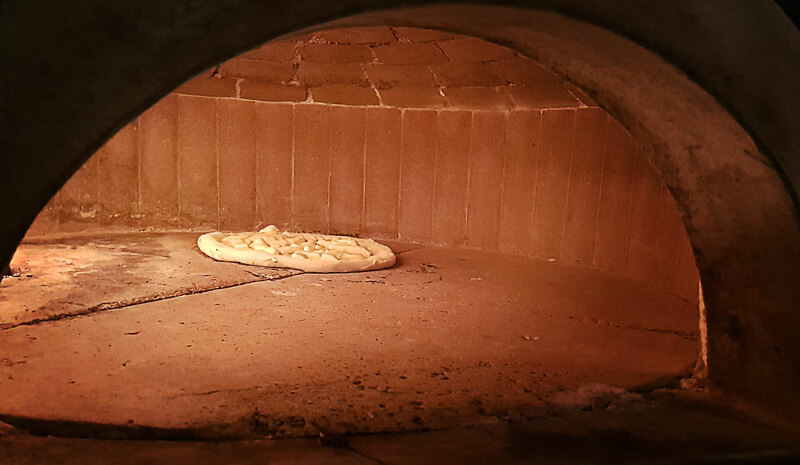 The place had a similar rustic / modern feel to the place with the OBVIOUS woodfired over (which is good – cause you can see you’re pizza being cooked and they’ve got nothing to hide). It was’t the largest place however they don’t really need it as I’ve never really seen the place more than 50% full. I flicked through the menu out the front and figured if I were going to eat here, I wasn’t gonna get the pizza I could find at other restaurants, so I opted for the Truffle pizza. 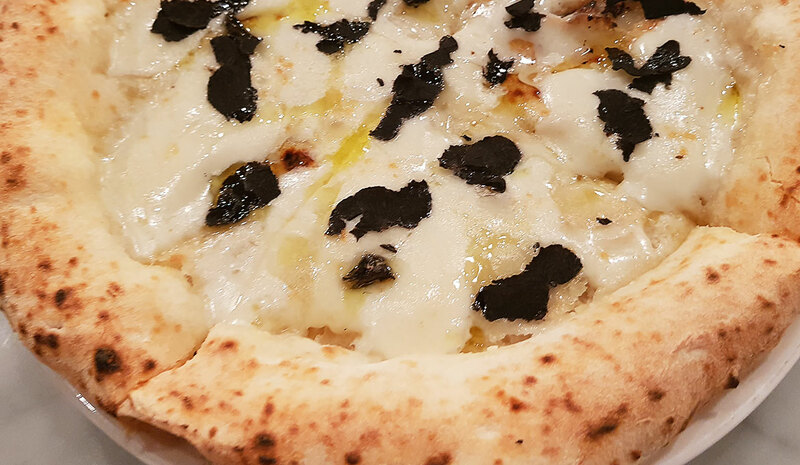 This pizza was about 200 baht more than the standard Margharita pizza (which is one of my favourites), however obviously because of the Truffle, but I figured if there’s one group that can do a truffle pizza good, then it’s these guys. 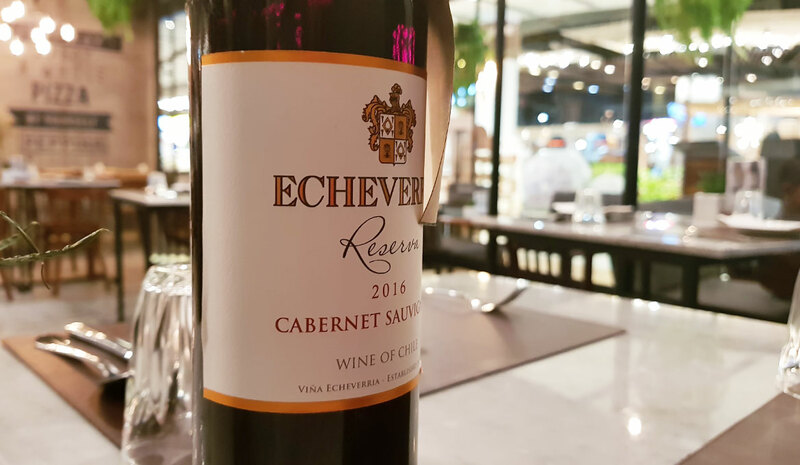 I ordered water at first, and then after seeing the deal for Wine and Pizza, I went with a glass of red…hell…why not!?!? 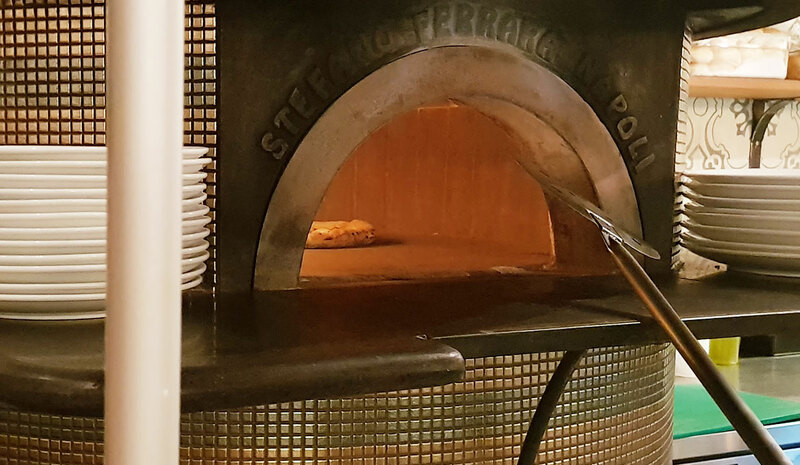 Within 5 minutes of ordering, my pizza was ready – the true Napolitana way – they cook the pizza at about 500 degrees celcius and should only be cooked for about 1 – 1:30 minutes. 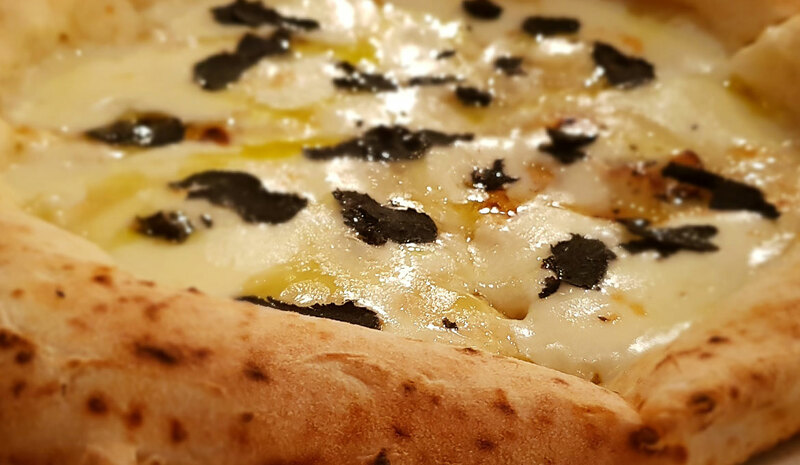 The pizza looked incredible – thin slices of truffle sprinkled over the pizza, perfectly melted mozzerella cheese and olive oil drizzled over the top…yuuummm! Time to bite in!!! The flavor…well…that’s where the disapointment kicked in…there wasn’t much really. 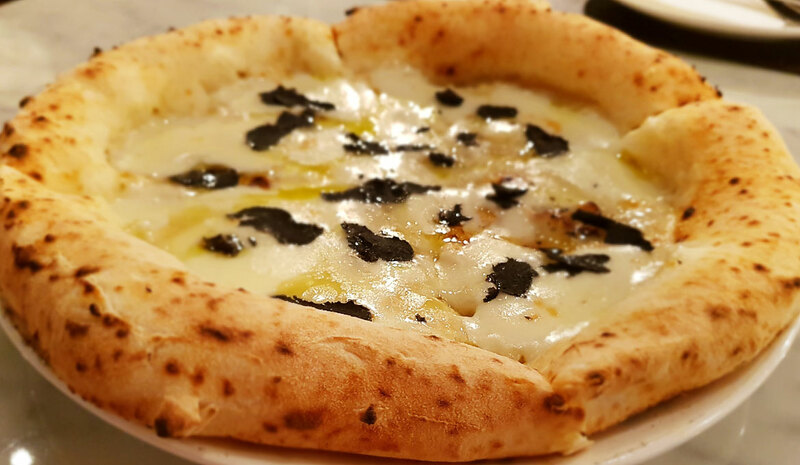 For a truffle pizza with fresh shavings of truffle I was expecting that flavor kick…however it wasn’t there. The truffle scented olive oil I have at home has more kick on a slice of bread than this pizza. 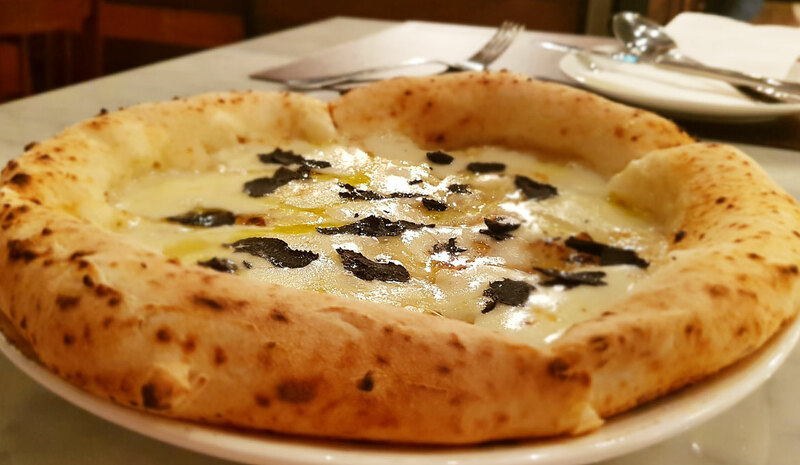 Generally I wouldn’t be so disapointed but at this point I was thinking I would have preferred the Margherita, and that at an extra 200 baht, what I was paying for was the truffle – and it hardly existed. 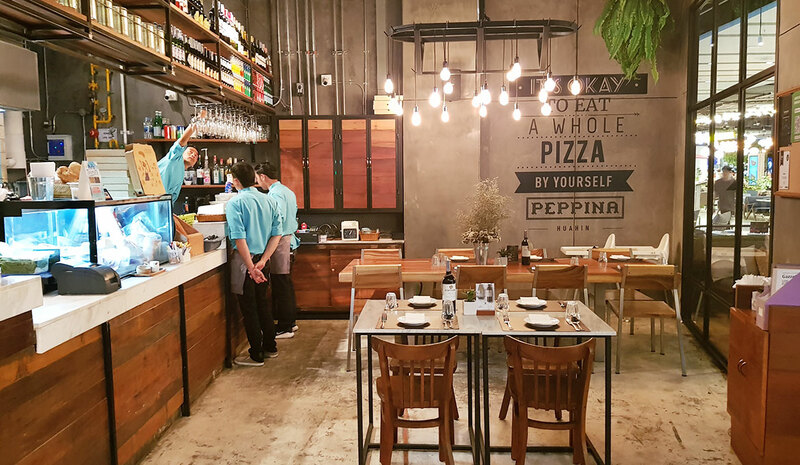 My opinion on this place had dropped enormously and really felt like I was eating a plain cheese pizza for 550 baht (I could have gone to Pizza Company for that). 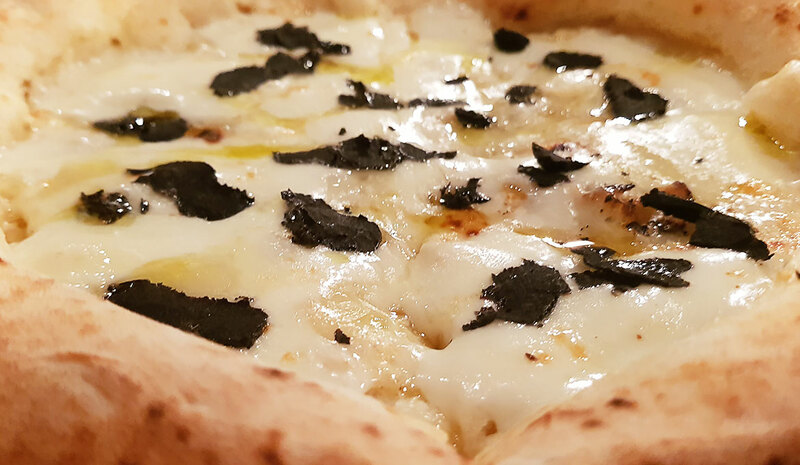 If you’re a truffle lover, I’d advise not to get this pizza, as you’ll be wanting the full truffle kick, and you don’t get that with this. But I do have to say the Margherita pizza that I had the first time was OUTSTANDING! 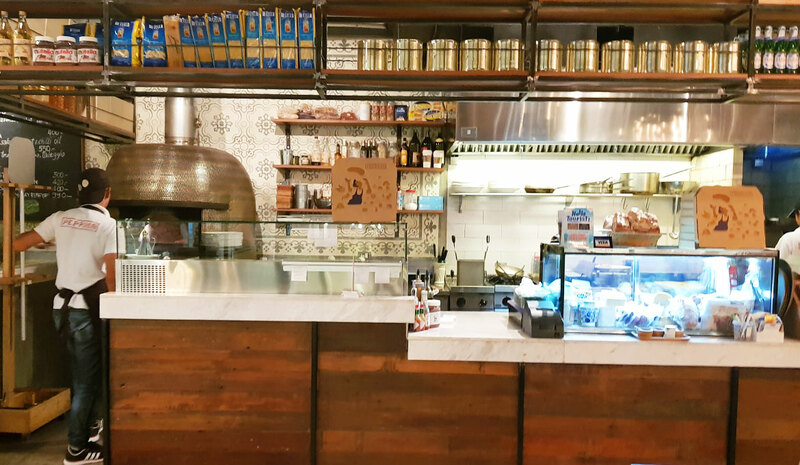 I’m sure a lot of their other pizzas are just as good and although this wasn’t my best experience, I will be back to try their other pizza because with a Napoletana pizza, it’s all about the base and timing in the oven – and they’ve perfected this! I would have to say – “pizza was a little tasteless and not good value for money” – at close to 1000 baht and having eaten what I thought was an ordinary pizza…I was pretty disappointed. Yeah, I still want to try some of their other pizzas, but there’s also a lot of other good pizza places in Hua Hin, a lot cheaper and they don’t sit inside a shopping mall…so it might be a while before I’m back. Like I said – the Margherita I had in Bangkok was one of the best versions of the Margherita I’ve had in Thailand…it’s hard to rate this review – however this review is based on my BluPort experience. I have to say from my first experience, not too bad. The Margherita is an awesome pizza and worth paying the price for a true Napolitana pizza outside of Napoli. 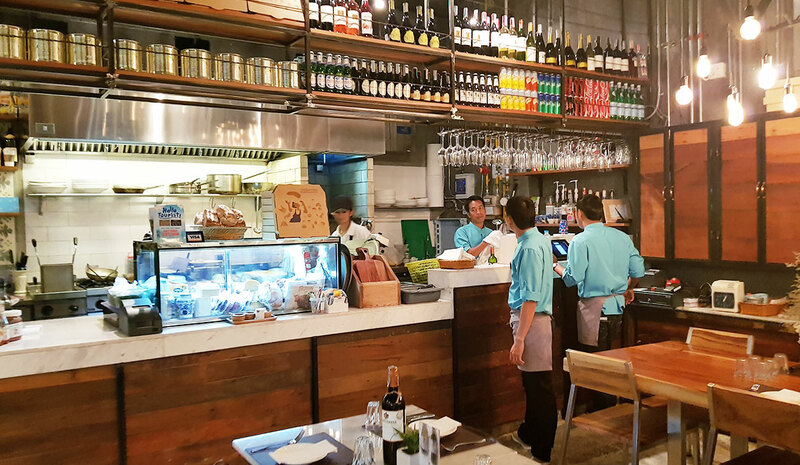 The second experience I felt completely ripped at almost 1000 baht for a pizza that was tasteless and glass of Chillian wine….hmmm. For the Margerhita the price is about 350 baht, the Truffle pizza was 550 baht.